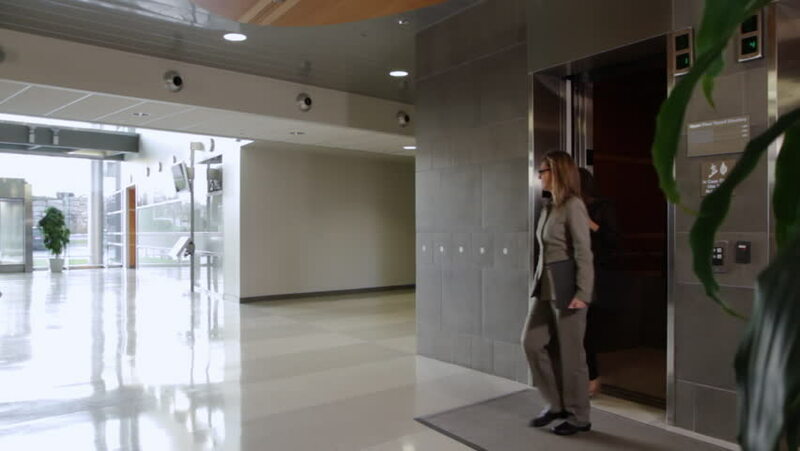 Business people get out of an elevator and walk through building atrium, towards exit. Wide view, recorded with a camera dolly move. 4k00:18Two doctors walking on hospital's corridor and advising. 4K. hd00:22Manama, Bahrain - 2011 - Arab office workers; a man in traditional dress and a woman in modern dress walk down a hallway and into an office.